Figs make areal roots when they are tented and in very damp air, or, bark is being kept moist by misting. Its a successful deal if that was your goal. 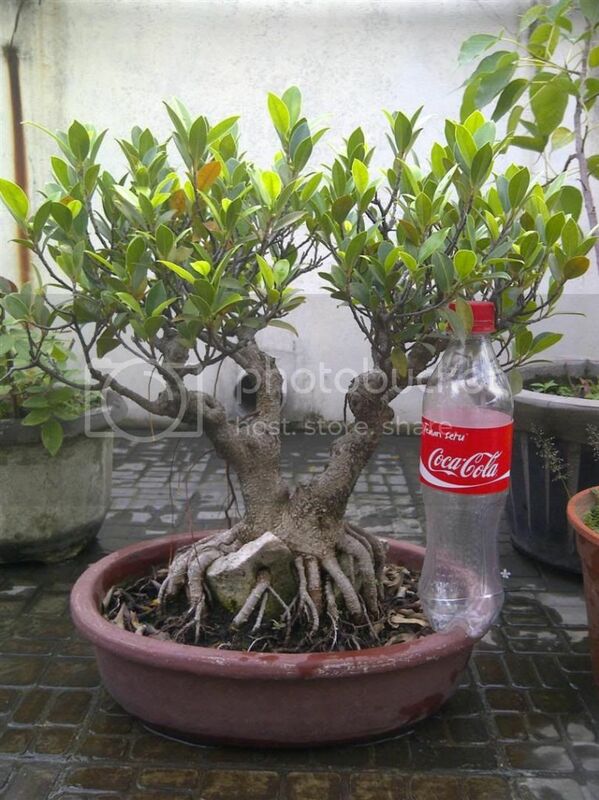 As a guess only, ficus marcrocarpa. 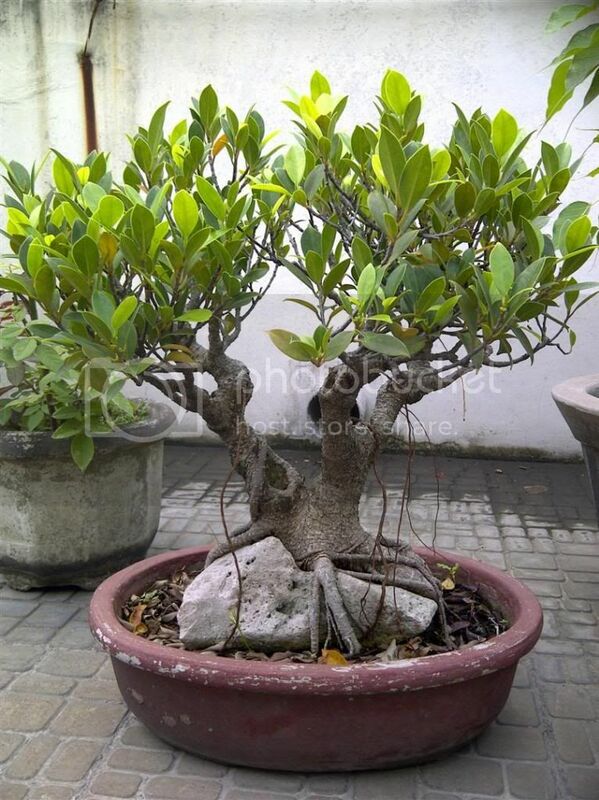 It is a nice looking ficus. 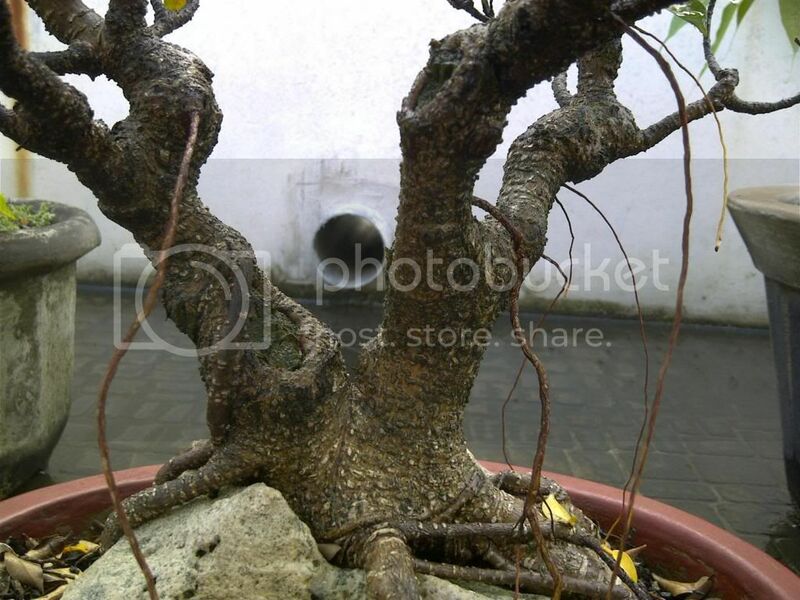 Unless you like the multi trunk look, keep an eye on the roots. Do not let them go to ground. Banyans are sneaky like that. thanks for the reply. I think i would keep the multi trunk look. I'm still new to bonsai. so sorry for my noob question. notnot wrote: thanks for the reply. I think i would keep the multi trunk look. I'm still new to bonsai. so sorry for my noob question. Heck I'm gratful for any fig question I can answer. I like the texture & color of the bark, pictured in your 3rd photo. I'm also a "noob"! Seems like air roots are simply a matter of preference. . . 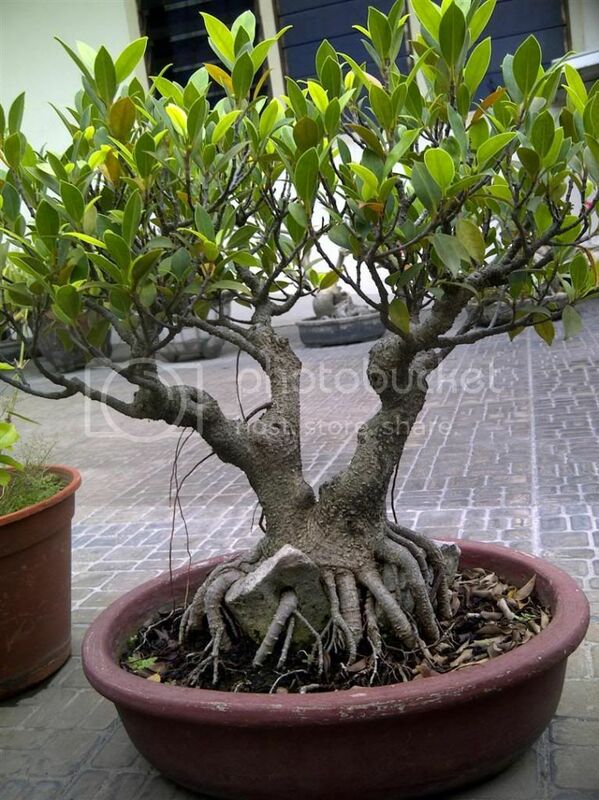 I believe they're common in ficus. I get such pleasure from finding new growth on my trees!! !